Puzzle Quest 2 was developed by Infinite Interactive and published by D3 Publisher for XBLA on 6/30/2010. Retails for 1200 Microsoft Points. A download code for the game was given to us by the publisher for reviewing purposes. Let’s start this review by asking ourselves, is there still a profitable market for puzzle games? During a time when 3D graphics are the new craze, awe-inspiring virtual physics are praised, and motion-controlled gimmicks try to make things a little bit more noobish, will there be any room left for the puzzle enthusiasts? Infinite Interactive has the answer to that. 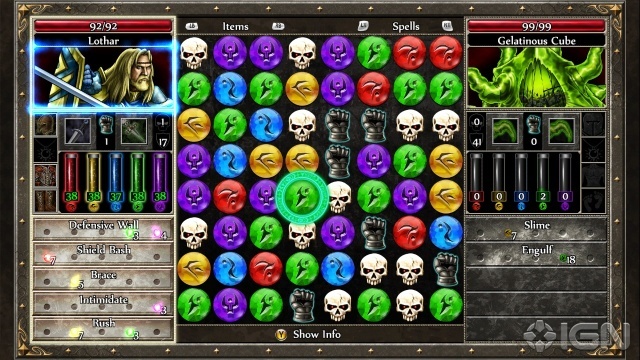 In 2007, they released Puzzle Quest, which became an instant hit amongst critics and gamers. PQ respectively took home a couple of awards, Gametrailers “Best Puzzle/Parlor Game” and Gamespy’s “Best Xbox Live Arcade Game.” So, with those accomplishments in mind, what could they possibly do to follow-up the success that Puzzle Quest had? Make another one. Puzzle Quest 2 takes you on a journey to the once peaceful village, Verloren, where the villagers seek you out to be their forsaken savior against orcs, skeletons, and a gelatinous goo foe that threaten their lives. Before you start, you’ll need to pick a class for your character. The classes you have to choose from are Sorcerer, Assassin, Barbarian, and Templar. Afterward, you’ll name him/her whatever your wonderfully crude imagination can think of. PQ2 has a really nice touch when it comes to playability, from the color-matching puzzle battles to the humorous(and sometimes creepy) soundbytes. You’ll be able to travel your way through side quests and battle your way through the game’s main quest. All which seem to be equally and generously lengthy, and that’s not a bad thing at all. You get a great bang for your buck. It’s FUN – Puzzle Quest 2 is fun and highly addictive. Once you start, you won’t be able to stop… but when you do stop, you’ll be back for more. It’s almost like your very own personal drug dealer behind that Wonder Bread outlet shop down the street. It’s easy to play – This game is a genuinely great pick-up and play game. You don’t need any previous experiences with Puzzle Quest to understand. It will teach you everything you need to know about the plot, characters, and how to play. There’s even a quest helper which tells you where to go. I’m a FPS gamer, and I had no problem with the transition to this RPG Puzzler. Sound and visuals – The background music really suits the style of game. 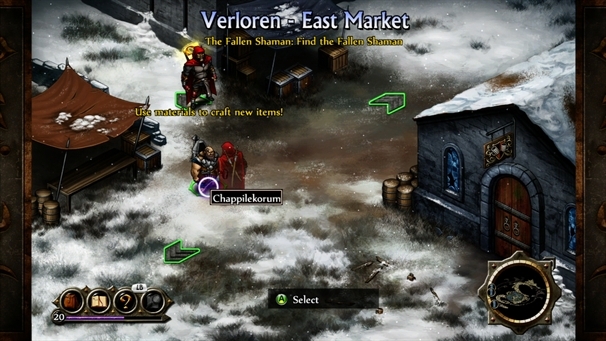 It fulfills the ideal collaboration you’d find in other RPG’s like, World of Warcraft and Fable. The visuals are also a great treat to feast your eyes on. Sure, they aren’t graphics you would see in Gears of War or Modern Warfare, but the sharp and colorful artwork make the game very mesmerizing. The sound and visuals compliment each other very well. Lack of people playing online – Searching for someone to play against online has been… unsuccessful. I have spent plenty of time searching for any sign of human activity, but to no avail. 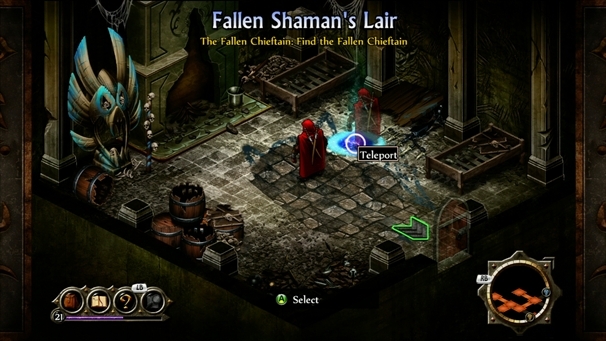 Mini-games – The mini-games are used for opening locked doors, looting treasures, and disarming traps. These were exciting at first, but after constant run-ins with the locked doors, bear traps, and piles of gold… they became frustrating and repetitive. If I could walk around with a bear trap on my leg, I wouldn’t hesitate. 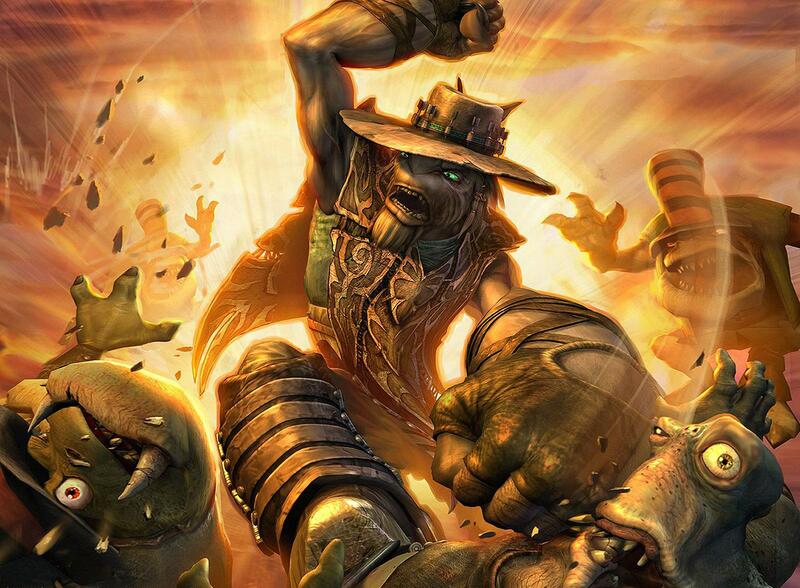 Puzzle Quest 2 has a great combination of turn-based puzzle combat and simple role playing. I can safely say that my girlfriend and I are hooked. No matter what gender/age/gamer you are, you will adore this game. If you’re looking for the next best XBLA title to own, this is it. You WILL lose track of time, but it’s so worth it. Hey, my name is Phillip. I grew up in Virginia, but I'm currently in Kansas. I love video games. If you ever want to game with me, send me a friend request - EliTe X FactoR. I play the drums and bass. I wish I could play the guitar but I have big monkey fingers. I've enjoyed writing ever since I was a kid... but I never did much for that interest until becoming apart of the great XBLAFans establishment. I'M SO EXCITED FOR HALO REACH!!! !